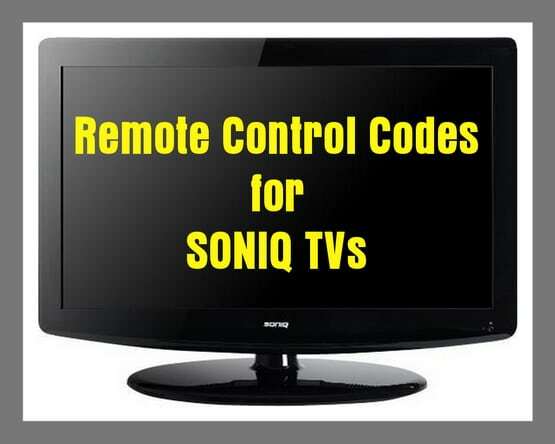 Remote codes for SONIQ TVs. If you have recently bought a universal remote control and you need the remote codes to operate your SONIQ TV, we have remote codes below for your TV that should be working. If the first does not work keep trying the numbers down the list. Do you have any other codes to add to the list for SONIQ TV remote codes? Please leave a comment below. Problem with step number 2. .. The TV button light doesn’t stay lit, and the TV hasn’t responded to any code.. Any advice?